Biryani is a traditional spice-flavored rice-based delicacy containing meat and vegetables. In this paper, the preparation of Biryani, its composition, nutritional value and entrepreneurial possibilities are discussed. The nutritional value per 100 g of product of different types of Biryani is given. A diagram of the cooking procedure of this dish is presented. The Biryani market is compared with the fast food market. Attention is also paid to the most important economic factors that influence the consumer's decision when buying food. These are: per capita income, price of the food relative to other products, as well as changes in the size and structure of the population. An additional advantage over the competition is outside the links between the restaurants and customers, business partners and suppliers. The purchase of this dish is most often associated with the processes of interacting with customers, with consumer safety, shaping their expectations, market information and customer behavior. This research suggests how establishing a modern Biryani market. Experimenting new variants of this dish and taking advantage of innovative digital solutions could be a strategy for promoting entrepreneurial development and even reducing youth unemployment. Dr. Krishnan Umachandran, Nelcast Ltd.
University of Life Sciences, Department of Plant Production Technology and Commodity Sciences, 20-950, Lublin, Akademicka 15, Poland. University of Basrah, Marine Science Center, Vertebrate Department, Basrah, Iraq. Anand J. (2012). Tucking into the Biryani: Hyderabadi style (April 25, 2012). Available at SSRN: https://papers.ssrn.com/sol3/papers.cfm?abstract_id=2045991. Anonymous (2016). Food Tech Report, World’s Largest Startup Research Platform, pp. 613. Anonymous (2013). Food truck legal toolkit. A joint project of the Harvard Food Law and Policy Clinic, the Community Enterprise Project of the Harvard Transactional Law Clinics, and the City of Boston Mayor’s Office of Food Initiatives, pp.67. Asdaq, S.M.B., Inamdar, M.N., (2010). Potential of Crocus sativus (saffron) and its constituent, crocin, as hypolipidemic and antioxidant in rats. Applied Biochemistry and Biotechnology, 162, pp.358-372. Bloom N., Eifert B., Mahajan A., McKenzie D., Roberts J. (2013). Does management matter? Evidence from India, Quarterly Journal of Economics, Oxford University Press Volume 128, pp. 51. Bouton Sh., Knupfer S.M., Mihov I., Swartz S. (2015). Urban mobility at a tipping point, https://www.mckinsey.com/business-functions/sustainability-and-resource productivity/ourinsights/urban-mobility-at-a-tipping-point. Charminar food exports (2011). Biryanis method of preparation (Vegetable biryani), Charminar food exports. Coitinho Delmuè D.C., Mahy L., Ionata S. (2011). Nutrition and Business, how to engage? SCN News No. 39 ISSN 1564-3743, United Nations System, pp. 107. Davids P., Jooste A., Meyer F.H., (2013). Evaluating the South African pork value chain, University of Pretoria, pp. 23. Dawar N. (2013). When marketing is strategy, Marketing, Harvard Business Review, https://hbr.org/2013/12/when-marketing-is-strategy. EVHS ASB (2016). Yes, club meeting tomorrow, Food, Evergreen Valley High School, San Jose, CA. Fellows P., Hilmi M. (2011). Selling street and snack foods, Rural Infrastructure and Agro-Industries Division Food and Agriculture Organization of the United Nations , Rome 2011, ISBN 978-92-5- 107071-0, pp. 96. GOI (2013). Ministry of Human Resource Development Department of School Education & Literacy, Report of 5th Joint Review Mission on Mid-Day Meal Scheme TAMIL NADU, pp. 91. Hebden L.A., King L., Grunseit A., Kelly B., Chapman K. (2011). Advertising of fast food to children on Australian television: the impact of industry self-regulation. Medical Journal of Australia 195: 20-24. Hofmann R., Dittrich Ch., (2009). Changing food culture in globalising Hyderabad, Institute of Cultural Geography, University of Freiburg, Germany, pp. 62. Hossain N., King R., Kelbert A.W., Scott-Villiers P., Chisholm N. (2015). delicious, disgusting, dangerous: eating in a time of food price volatility, Joint Agency Research Report, Oxfam, pp. 70. Islington CS (2017). Family kitchen resource pack, Family Kitchen Recipe Book, Healthy Schools, Islington, Hayley Harkins, pp. 197. Italia Sh. (2014). Biryani: the myth, the mystery, the legend, Huffington Post, http://www.huffingtonpost.in/shayan-italia/biryani-the-myth-the-myst_b_6390066.html. Joshi S. (2017), India's Top Chefs Reveal What Their Favourite Biryanis Are? Lifestyle, Huffington Post, http://www.huffingtonpost.in/2017/05/19/indias-top-chefs-reveal-what-their-favourite-biryaniis_a_22098981/. 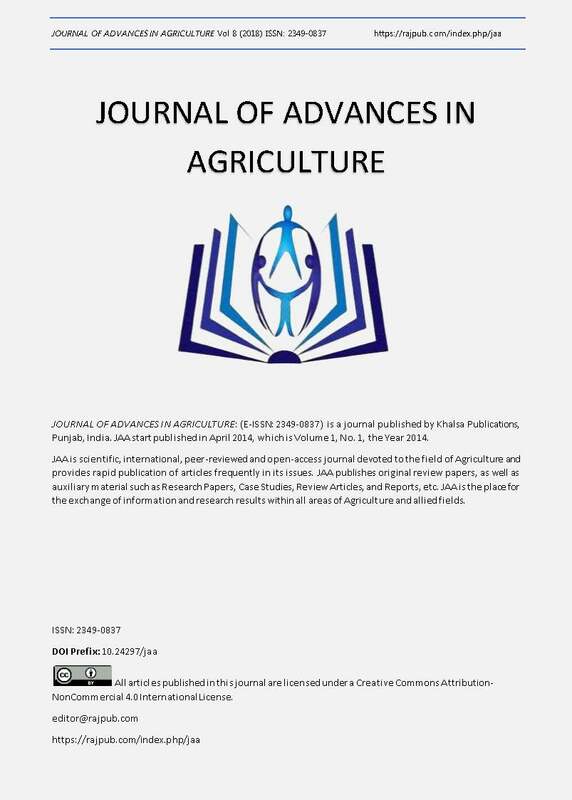 Kumar S.N., Jayakrishnan A.V., Khader A.K.A., Shaffi M., Prasanth C.V., Althaf A., Sivadas (2015). IMA Guidelines on Safe & Healthy Food, pp.69. Lange H., Meier L., (2009). Globalizing lifestyles, consumerism, and environmental concern. The case of the new middle classes. Springer publications, ISBN: 978-1-4020-9938-0: 1-2. Mehta C.P. (2014). Indian fusion cuisine. A kaleidoscope of food. Indian Horizons 61(3), 25-32. Misra R. (2011). Indian foods: AAPI’s Guide to Indian Foods: AAPI’s Guide to Nutrition, Health and Diabetes, 2nd edition, Allied Publishers, Chennai, ISBN: 978 -81 -8424 -687-2, pp. 188. Nuutila A.M., Puupponen-Pimiä R., Aarni M., Oksman-Caldentey K.M. (2003). Comparison of antioxidant activities of onion and garlic extracts by inhibition of lipid peroxidation and radical scavenging activity. Food Chemistry, 81: 485-493. Rajkala A., Kumari K.S. (2017). Lifestyle pattern and prevalence of obesity among school children in Chennai City (10-17 Years), International Journal of Health Sciences & Research 7(11); ISSN: 2249- 9571: 257-262. Rao R.N., Sudhakar P., Bhat R.V., Gupta C.P. (1989). A study of recorded cases of foodborne diseases at Hyderabad during 1984 and 1985. The Journal of Tropical Medicine and Hygiene, 92: 320-324. Ray C.N., Mishra A. (2011). Vendors and informal sector, a case-study of street vendors of Surat City, Centre for Urban Equity, CEPT University. Schlosser E. (2002). Fast Food Nation. What the all-American meal is doing to the world, Penguin Books Ltd, 80 Strand, London WC2R 0RL, England. Shaw I., Hussein B. (2013). A report into patterns of diet and exercise in the Pakistani Community of Nottingham City, University of Nottingham, pp. 37. http://eprints.nottingham.ac.uk/2081/1/Pakistani_Lifestyle_report_IS2.pdf. Shelar S.R. (2016). Research on Indian food habits and health. International Journal of Management and Social Science Research Review, Vol.1, Issue – 27, Sep -2016, pp 87-93. Srivastava S. (2013). Entrepreneurship in medium small and micro enterprises in India. Skill development: The key to economic prosperity, The Relevance of Skill Development to Tourism, Tactful Management Research Journal, ISSN: 2319-7943, pp. 105- 109. Stoilova I., Krastanov A., Stoyanova A., Denev P., Gargova S. (2007). Antioxidant activity of a ginger extract (Zingiber officinale). Food Chemistry 102, 764-770. Students' Academy (2011). Lucknow. The city of Nawabs, Print ISBN: 978-1-257-07731-1, 124. Sudershan R.V., Subba Rao G.M. (2008). Junk’ food – are we miscommunicating, Ind. J. Nutr. Dietet. 45: 155-159. Sulmont-Rossé M.G.C., Issanchou S., Chabanet C., Chambaron S. (2013). Priming effects of an olfactory food cue on subsequent food-related behavior, Food Quality and Preference, Vol 30, Issue 2, pp. 274- 281. Taljaard P.R., Jooste A., Asfaha T.H. (2006). Towards a broader understanding of South African consumer spending on meat. Agrekon, 45 (2), pp. 214-223. Terreiro da Costa Pedro T.M. (2014). Barriers to Micro-Enterprise Development, Faculdade de Economia da Universidade Nova de Lisbona, pp. 36. Thippeswamy N.B., Naidu K.A. (2005). Antioxidant potency of cumin varieties—cumin, black cumin and bitter cumin—on antioxidant systems. European Food Research and Technology, 220: 472-476. Thomson Reuters (2015). State of the global Islamic economy 2014 - 2015 Report, Case study, Marrybrown, Malaysia based multi-national QSR, Halal food, pp. 228. World Economic Situation and Prospects (2012). Global economic outlook, Prospects for the world economy in 2012-2013, World Economic Situation and Prospects 2012, pp. 40.